Sound familiar? As a bit of a self-confessed non-profit brand nerd I had been spotting quite a lot of articles in the press saying things like this example from Civil Society in 2012. Shelter’s re-positioning helped land new corporate partnerships. Macmillan’s rebrand helped increase donors by 27% and raised additional £5m. Parkinson’s UK’s voluntary income up 15% worth extra £1m a year. Save the Children’s brand refresh helped integrated fundraising appeals raise over 50% more than target of £500,000. Right, so Hudson’s right then. However, look closer and you’ll spot a pattern. The charities on Team Hudson are the bigger ones. What I was seeing when working on the ground with smaller charities was a lot of examples on the side of Merrilees. Ummm, Hudson… we have a problem. Merrilees had probably found a good reason for this a couple of years earlier when investigating brands in small enterprises with Wong. But what if Hudson was right? And small charities are missing a trick by not seeing brand as a strategic investment. Perhaps even a tool for helping them out of straitened times, as their big counterparts seemed to be doing? The Small Charity Brand Survey set out to investigate. Please come and hear the results at our presentation at the Institute of Fundraising’s National Convention on 8 July at 3pm. 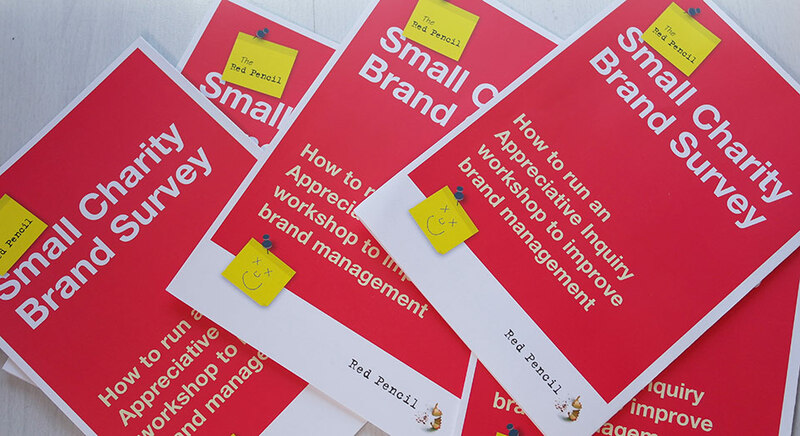 We are also giving away a guide to help you use the findings of the Small Charity Brand Survey to move your charity closer to Team Hudson – regardless of its size.